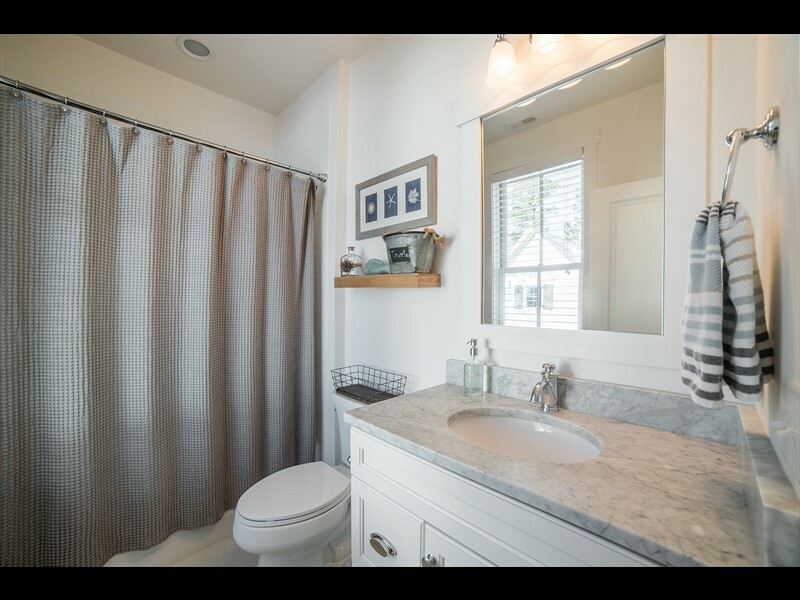 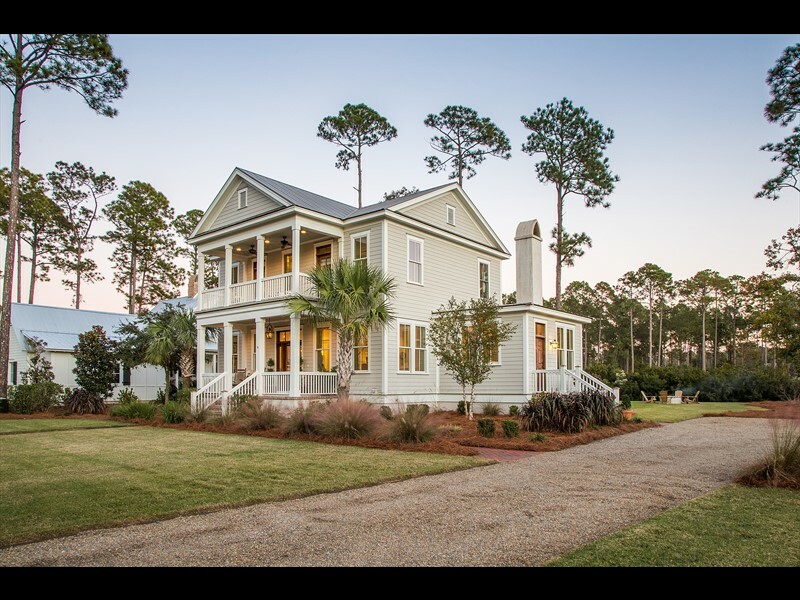 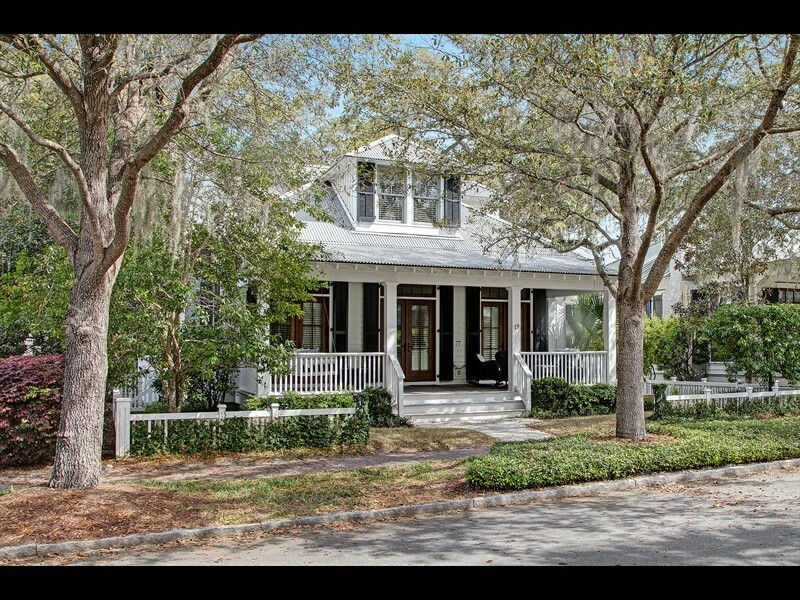 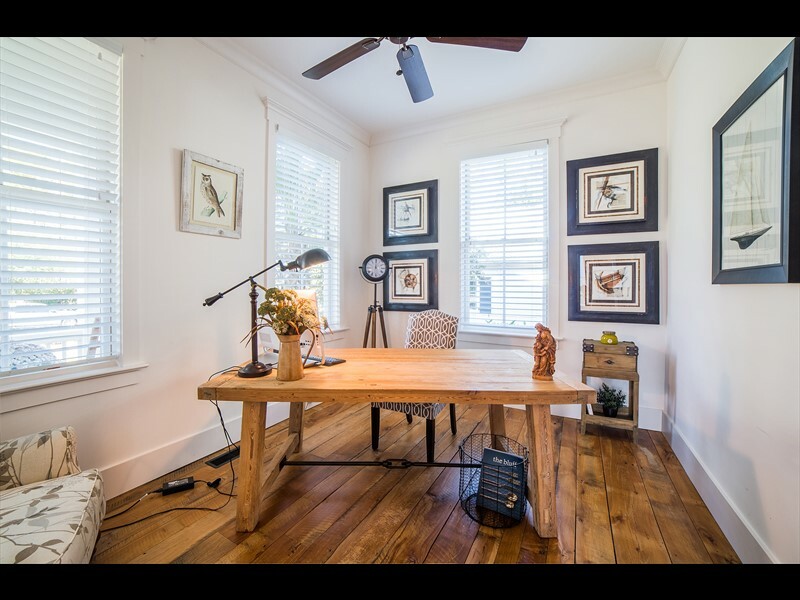 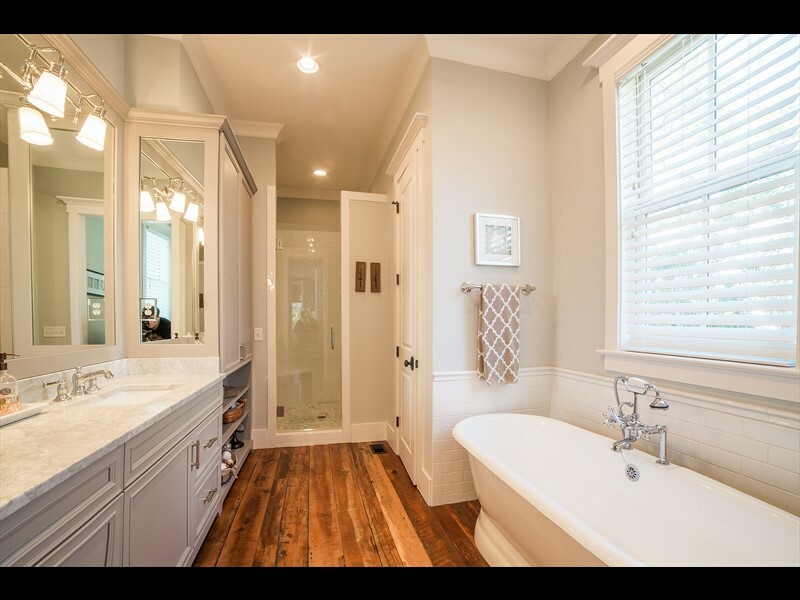 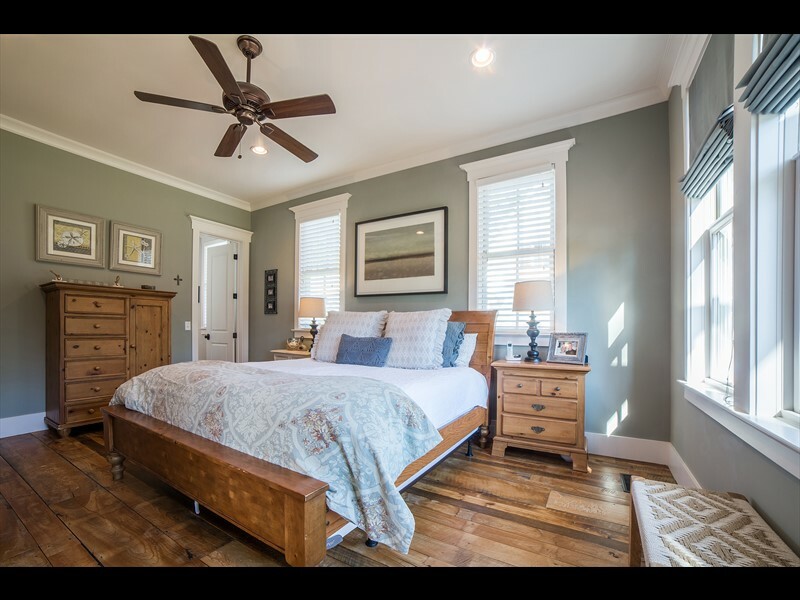 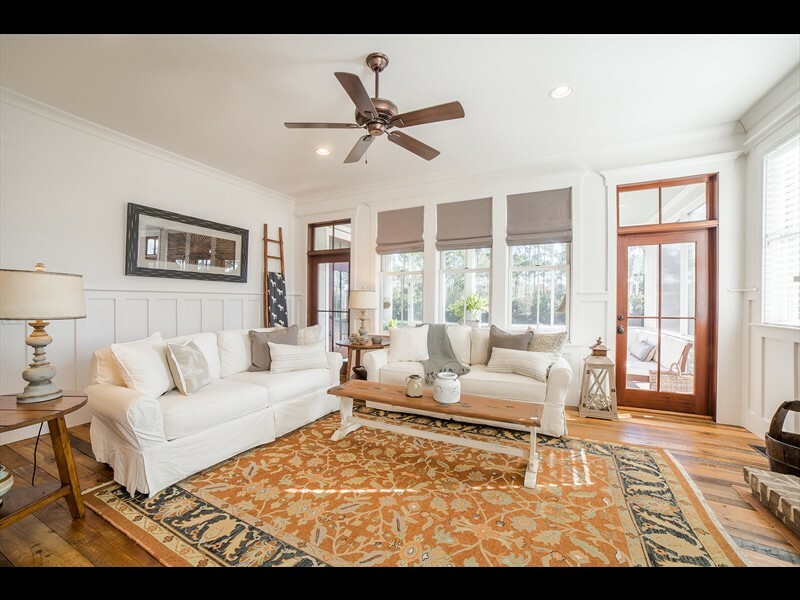 9 Hunting Lodge Road is a four bedroom, four-and-a-half bathroom home in Palmetto Bluff’s River Road neighborhood. 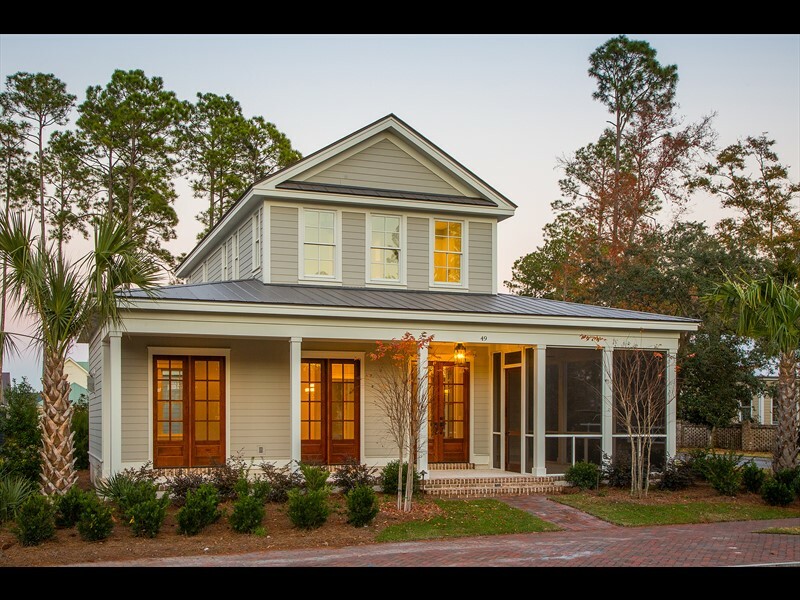 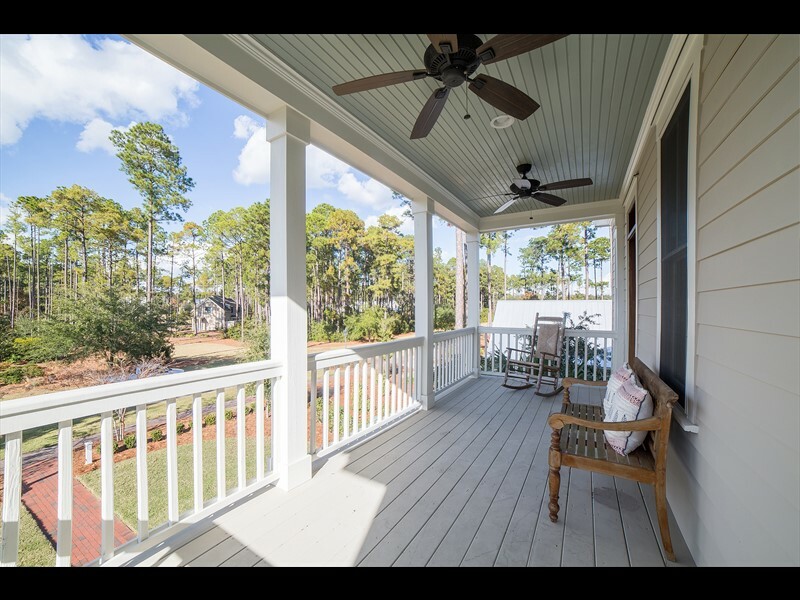 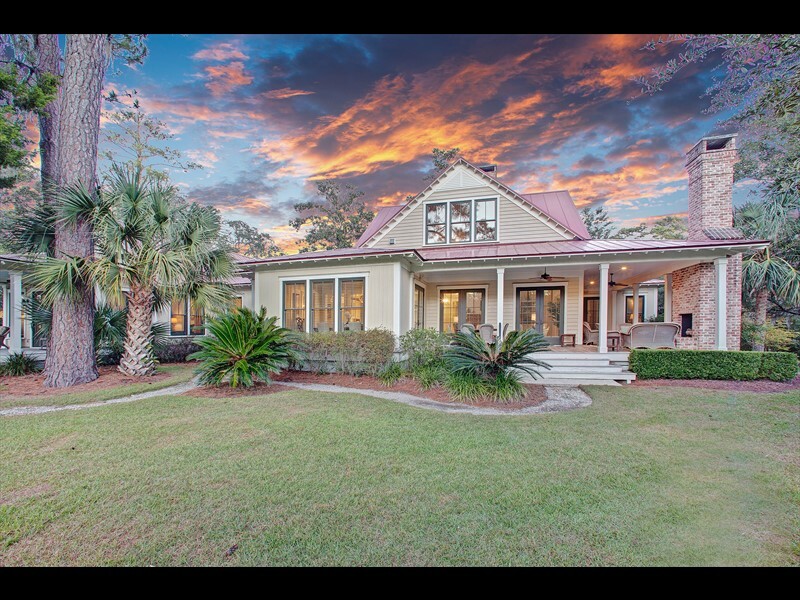 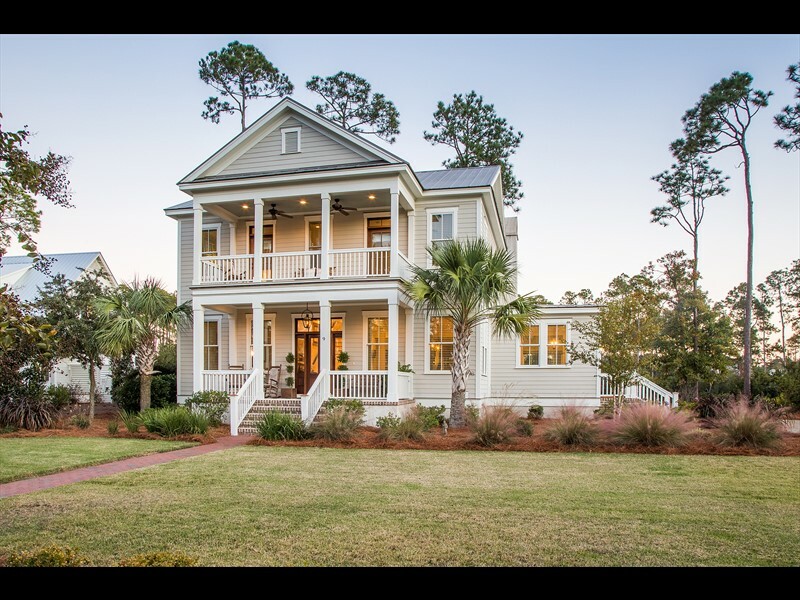 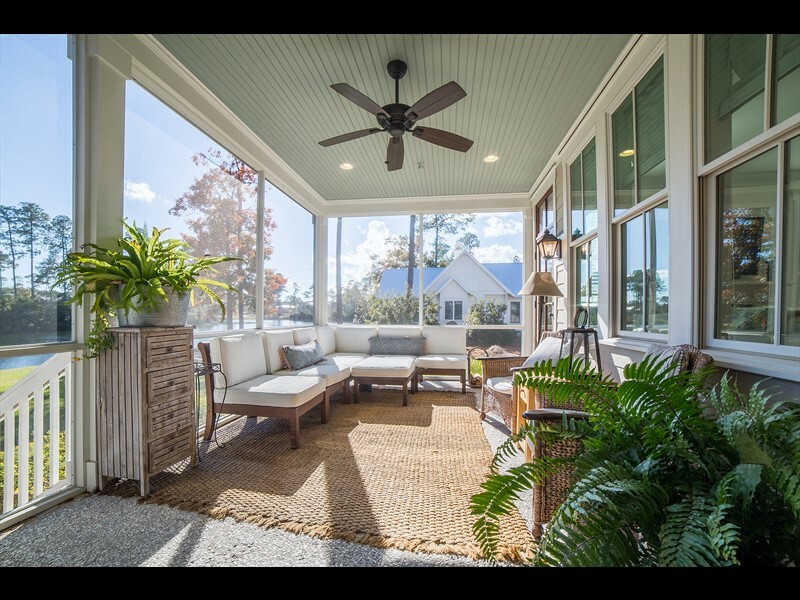 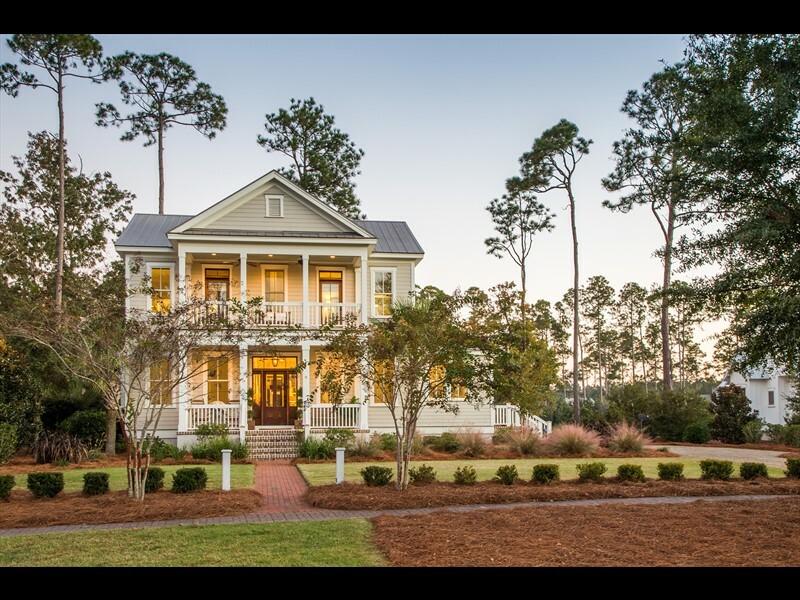 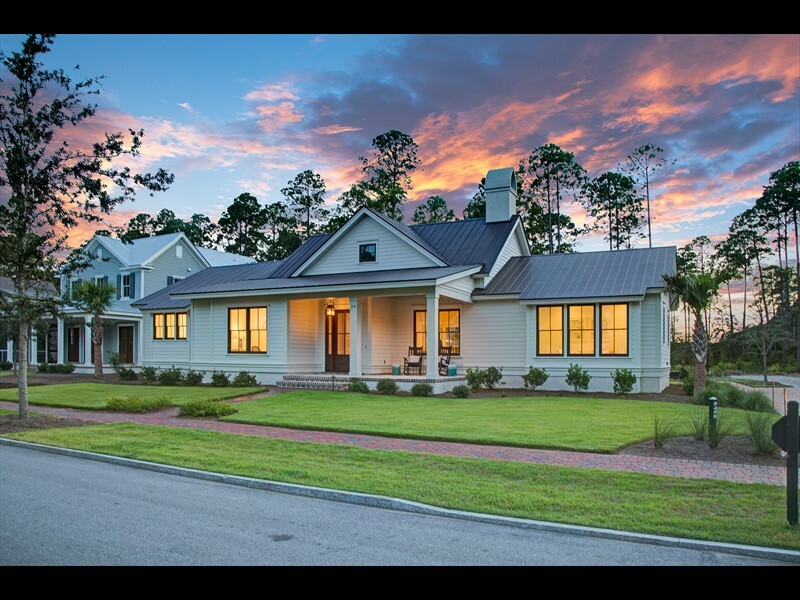 This neighborhood has a welcoming streetscape with well-manicured landscaping, gas lanterns, granite curbing and the Palmetto Bluff inland waterway winding throughout. 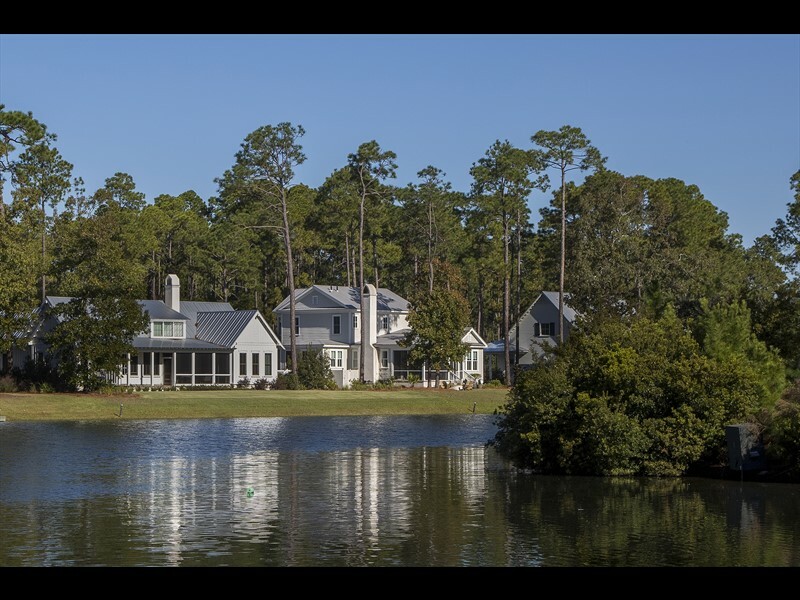 This 2,818 square foot residence gives ample space for both future owners and guests to enjoy the beautiful views of a large lake and surrounding open space. 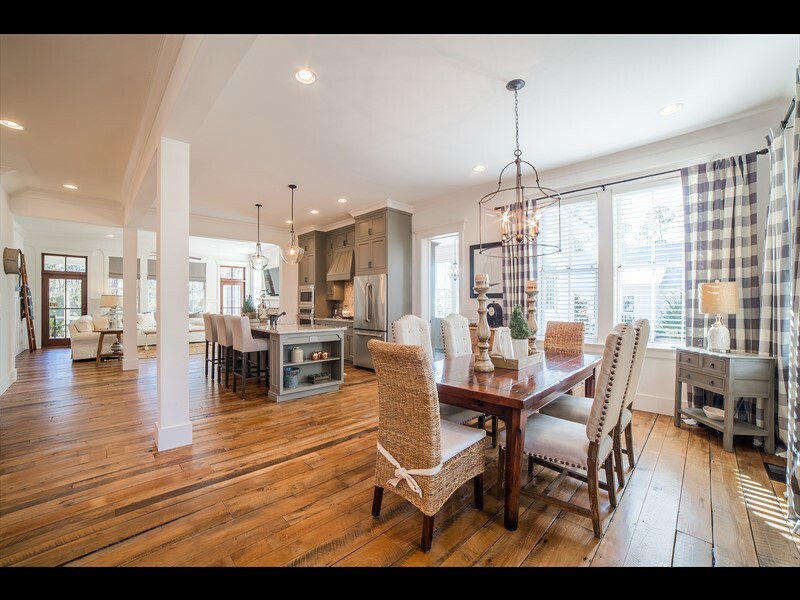 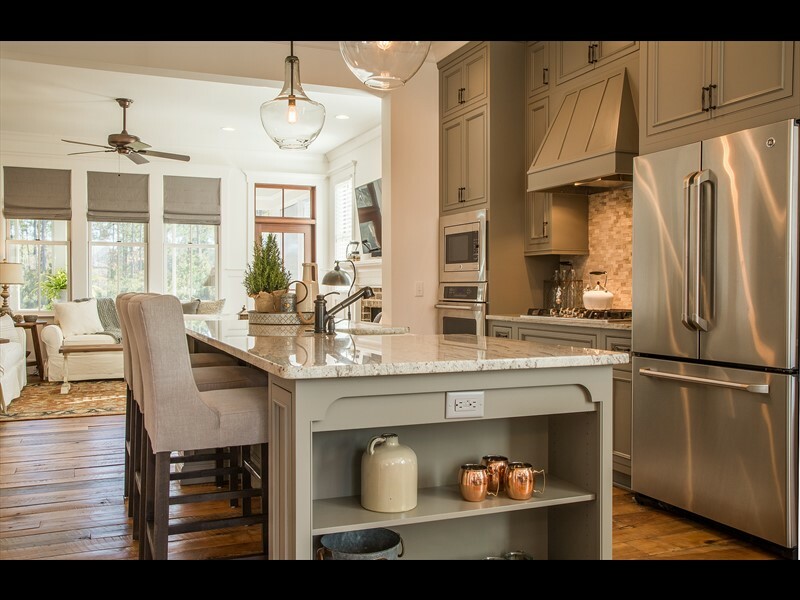 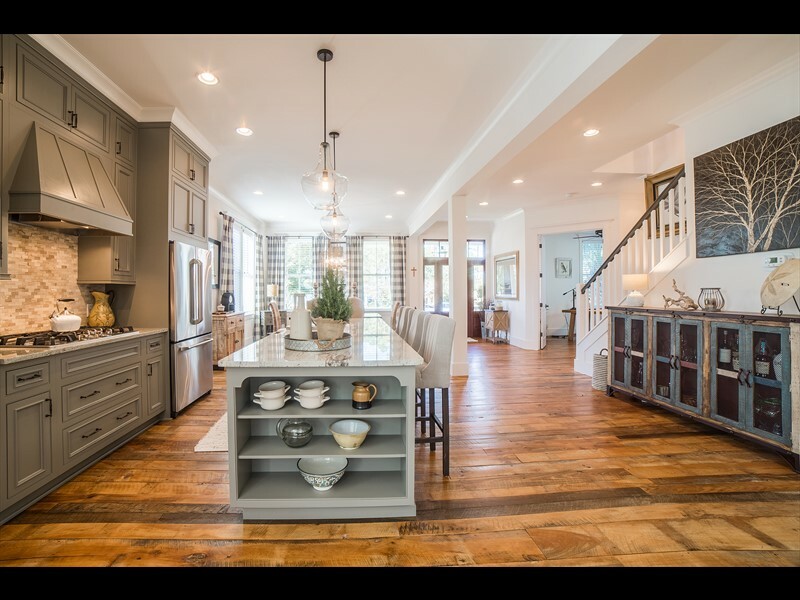 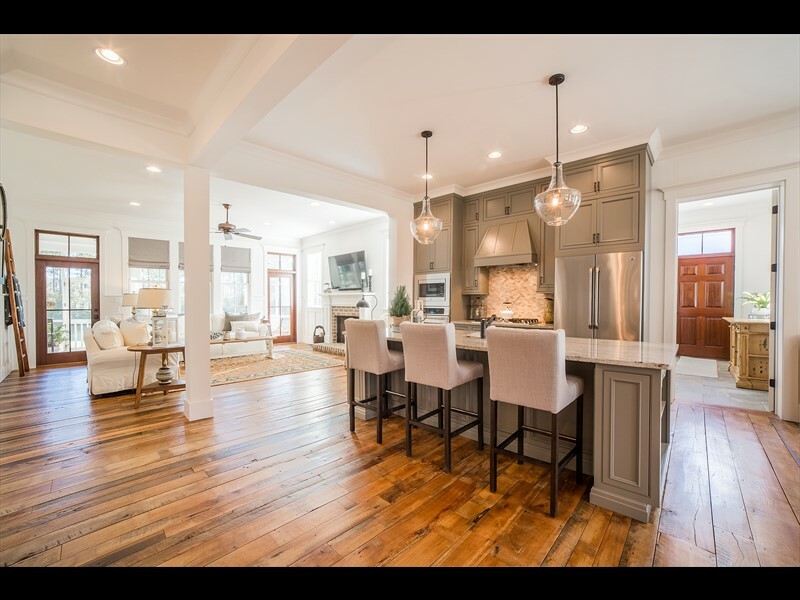 An open-concept floorplan beautifully transitions the dining room through the kitchen and living room. 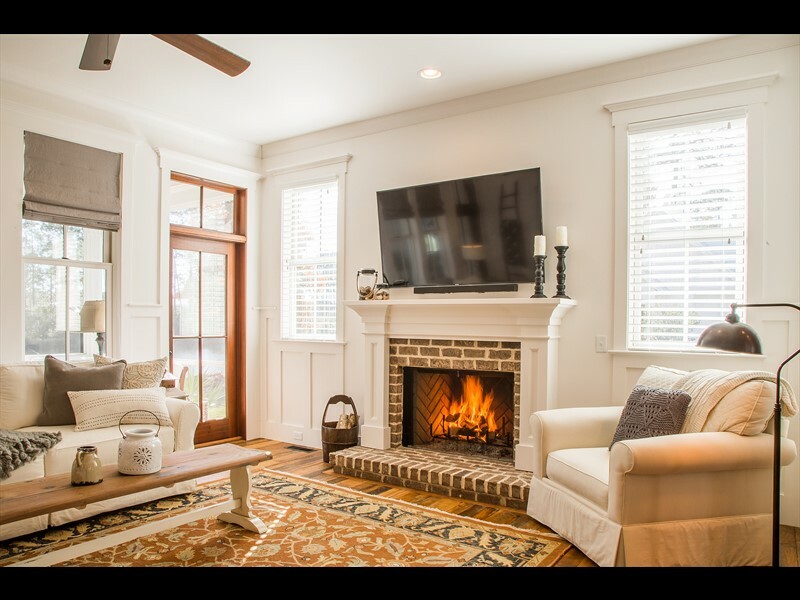 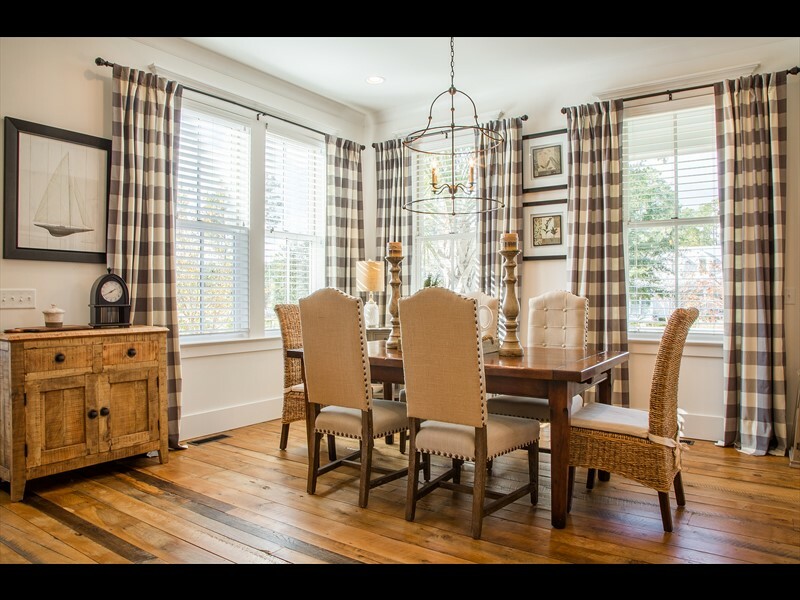 A wood burning fireplace and antique hardwood floors bring a rich character to this generous space. 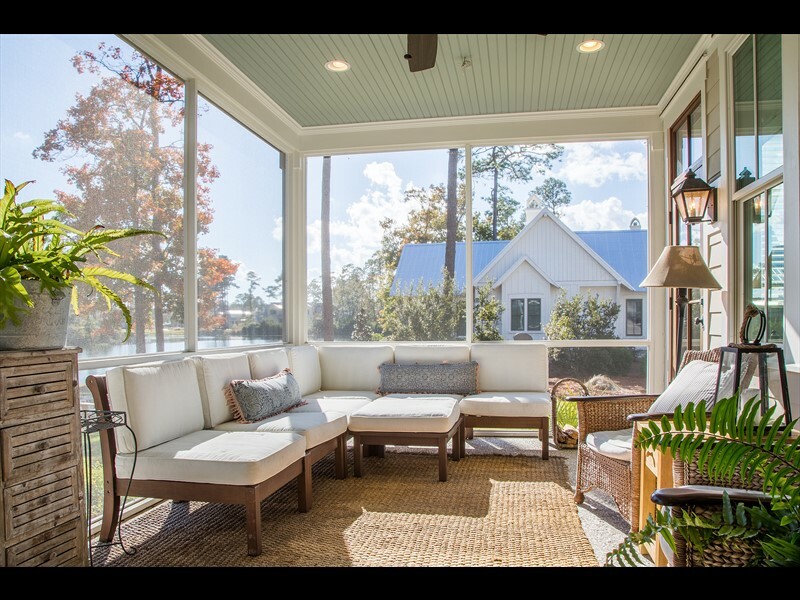 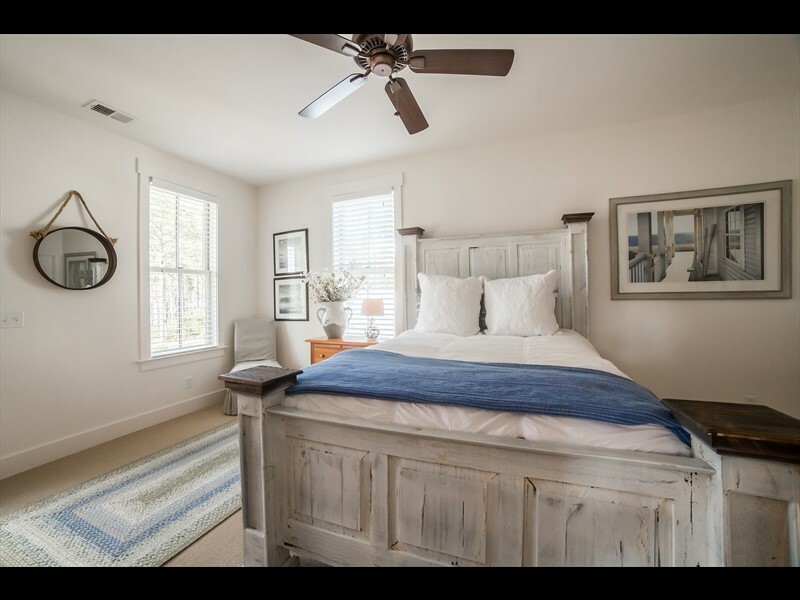 The first floor also features a master suite with access to the screened-in porch with views of the lake from both spaces. 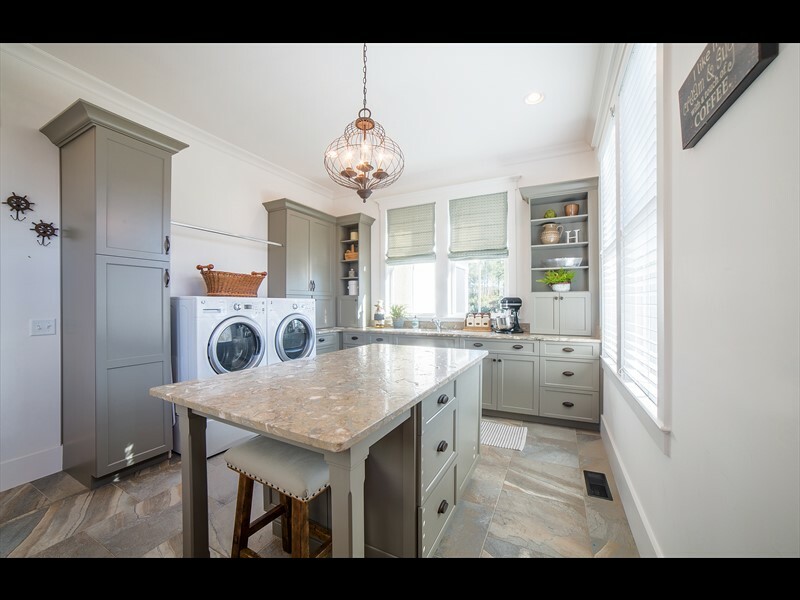 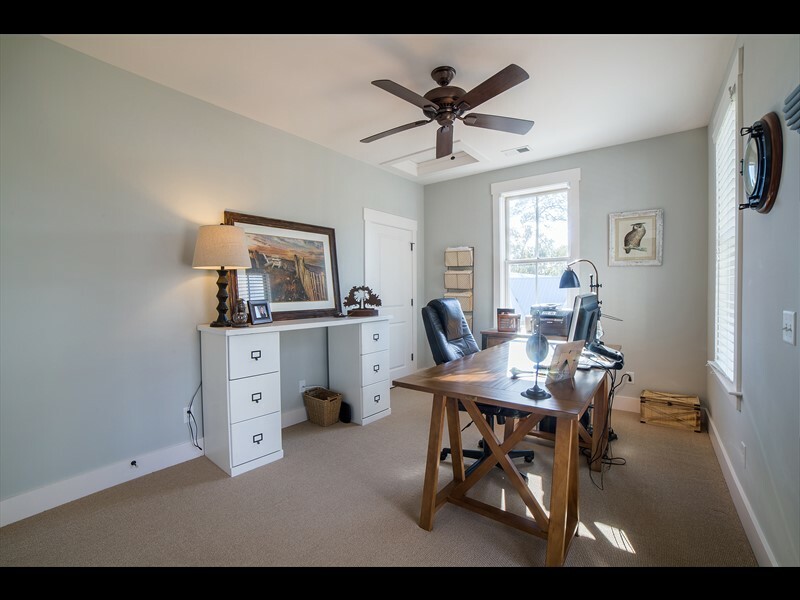 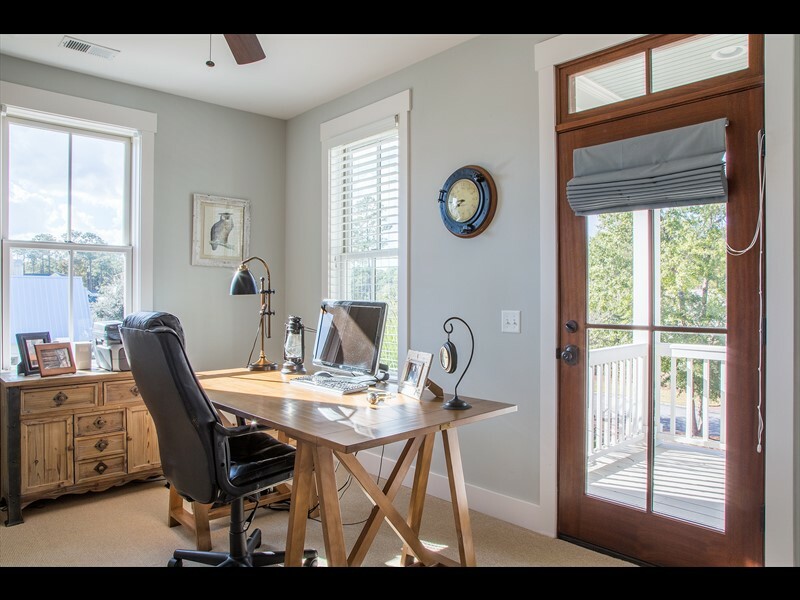 A private office and an expansive laundry room with back kitchen also grace the first floor. 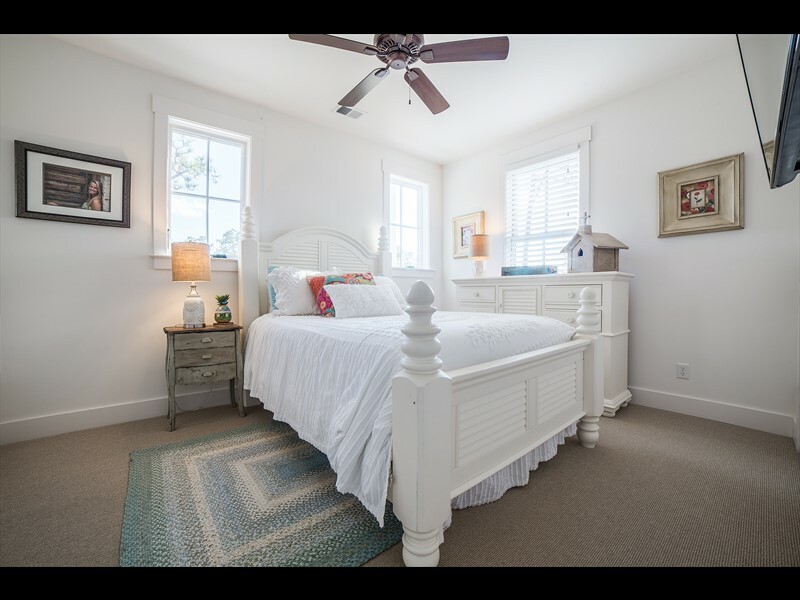 The second floor is home to three bedrooms with ensuite bathrooms and a balcony. 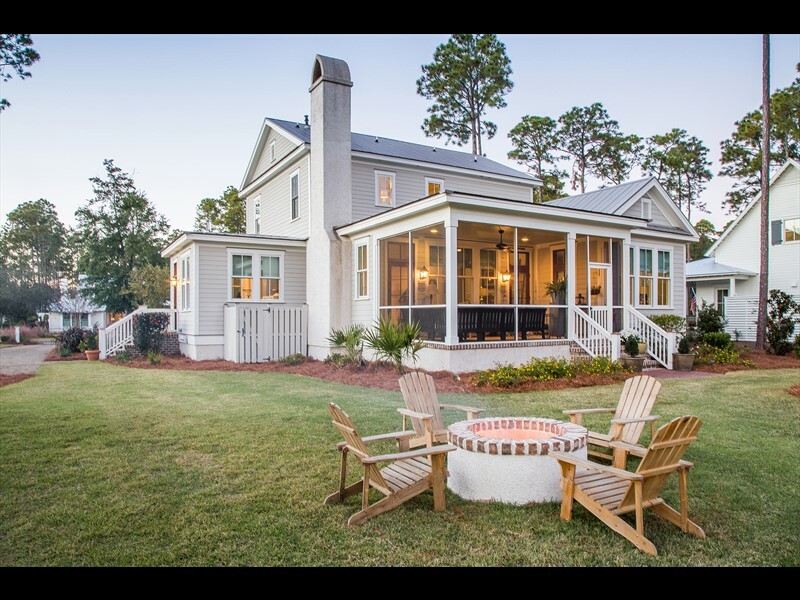 The backyard of this residence offers future owners space to enjoy outdoor living with a patio, firepit and a private dock. 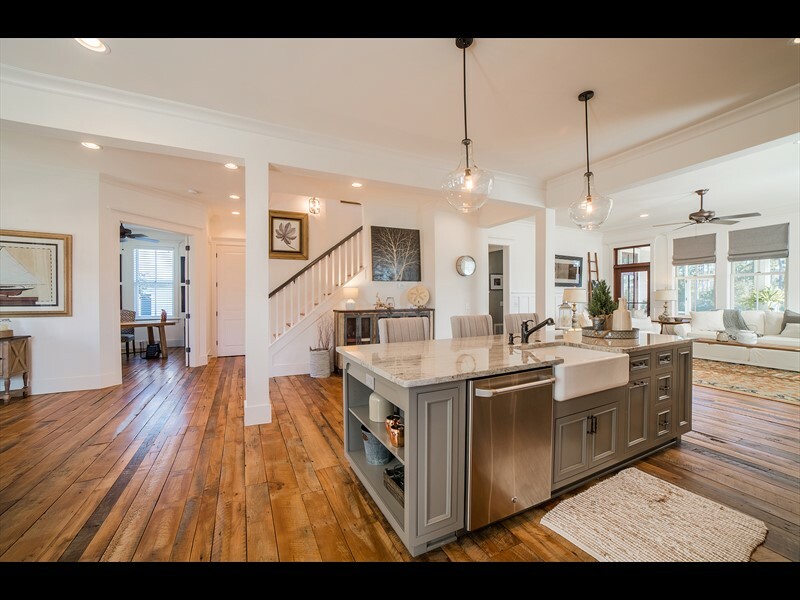 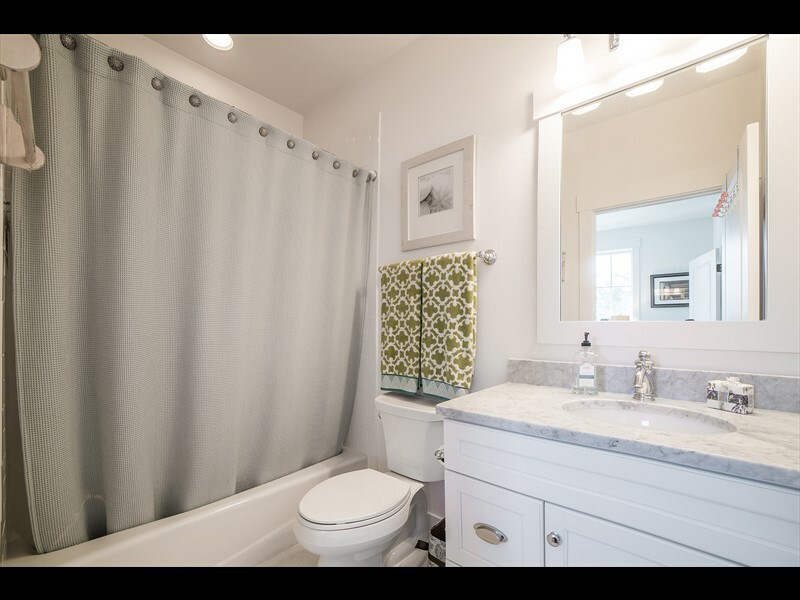 In a beautiful location, this residence is also conveniently located to the amenities of River Road. 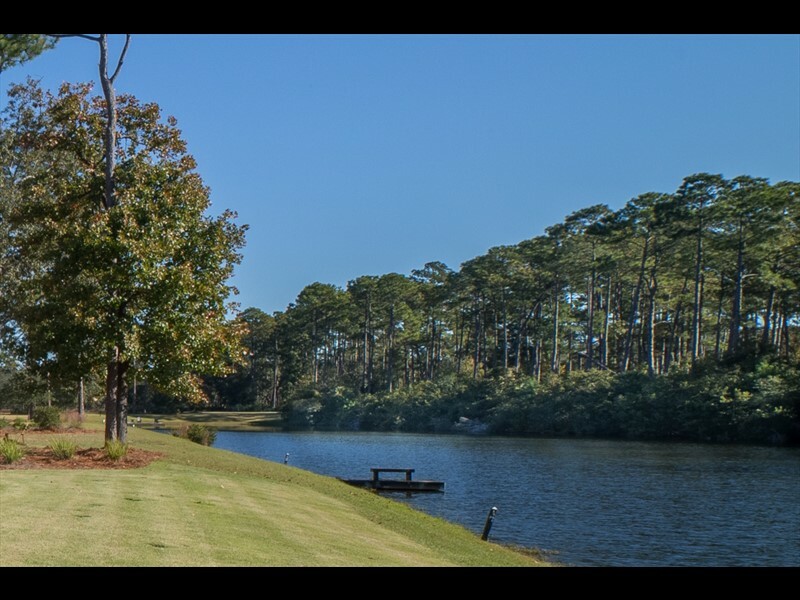 A community garden, dog park and the Lodge, a member-only facility with a zero-entry pool, fitness center, lounge area and community dock, are all within walking distance. 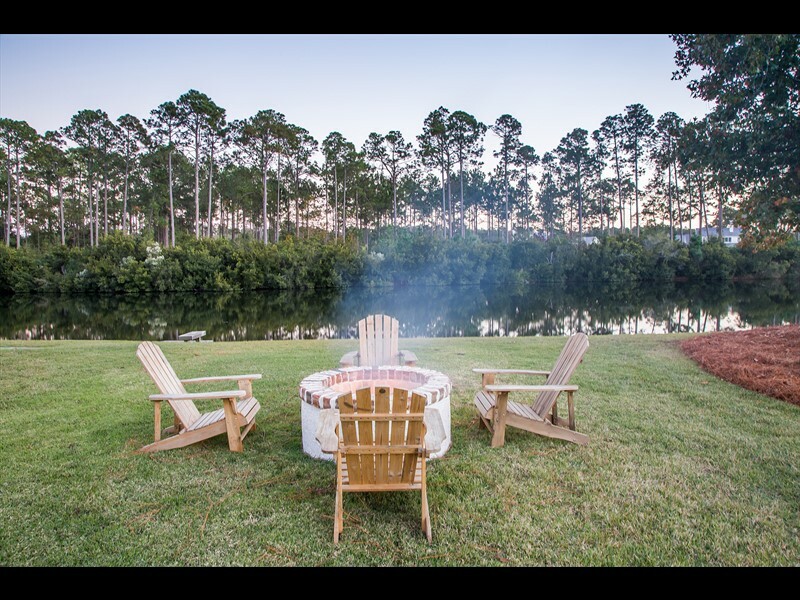 The River Road Preserve is a 120-acre protected maritime forest that is filled with trails for exploration. 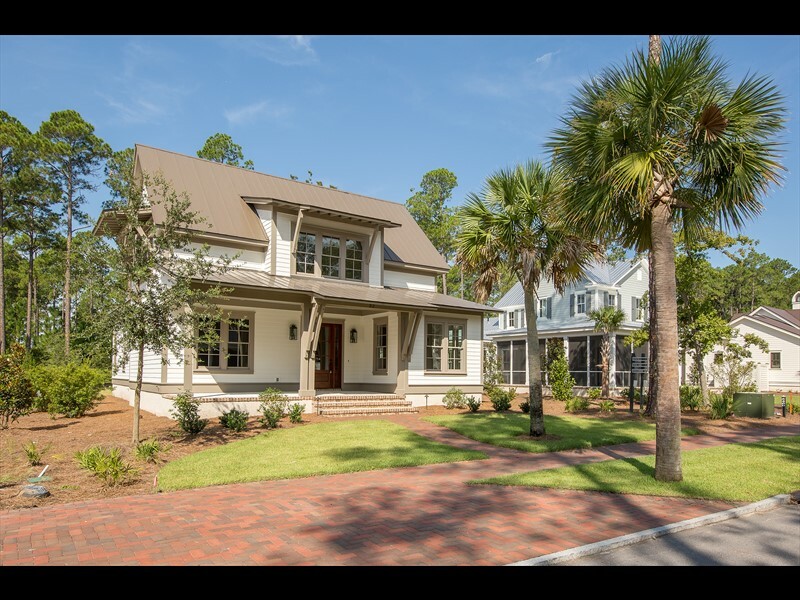 River Road is conveniently located between Wilson Village and Moreland Village, allowing future owners and guests to discover the Bluff with ease.